Sec. A-1. Appropriations and allocations. The following appropriations and allocations are made. Sec. B-1. Appropriations and Allocations. There are appropriated and allocated from the various funds for the fiscal years ending June 30, 2010 and June 30, 2011, to the departments listed, the sums identified in the following, in order to provide funding for approved reclassifications and range changes. Sec. TT-1. Consolidation of statewide information technology functions, systems and funding to improve efficiency and cost-effectiveness. The Chief Information Officer shall review the current organizational structure, systems and operations of information technology units to improve organizational efficiency and cost effectiveness. The Chief Information Officer is authorized to manage and operate all information technology systems in the executive branch and to approve all information technology expenditures from a consolidated account within each agency to fulfill strategic and operational objectives as expressed in a memorandum of agreement with each agency. An annual reconciliation of actual services rendered against budgeted amounts will be performed. Notwithstanding any other provision of law, the State Budget Officer shall transfer position counts and available balances where allowable by financial order upon approval of the Governor to the Department of Administrative and Financial Services, Office of Information Technology for the provision of those services. These transfers are considered adjustments to authorized position count, appropriations and allocations in fiscal years 2009-10 and 2010-11. The State Budget Officer shall report to the Joint Standing Committee on Appropriations and Financial Affairs the transferred amounts no later than January 15, 2010. Notwithstanding any other provision of law, the Chief Information Officer or the Chief Information Officer's designee shall provide direct oversight and management over statewide technology services and oversight over the technology personnel assigned to information technology services. The Chief Information Officer is authorized to identify savings and position eliminations to the General Fund and other funds from efficiencies to achieve the savings identified in this Part. This Part amends PL 2009, c. 213, Part TT, section 1 to recognize that a consolidated account will be established within each agency to account for technology related expenditures. Sec. D-1. Transfer; unexpended funds; Baxter Compensation Authority account. Notwithstanding any other provision of law, the State Controller shall transfer $2,570 in unexpended funds from the Other Special Revenue Funds, Baxter Compensation Authority account to General Fund unappropriated surplus at the close of fiscal year 2009-10. This part transfers certain unexpended funds from the Baxter Compensation Authority account to General Fund unappropriated surplus at the end of fiscal year 2009-10. Sec. E-1. 20-A MRSA §1305-A, as amended by PL 2005, c. 683, Pt. A, §21 is repealed. Sec. E-2. 20-A MRSA §1305-B, as amended by PL 2005, c. 683, Pt. A, §21 is repealed. Sec. E-3. 20-A MRSA §1701-A, as amended by PL 2005, c. 12, Pt. WW, §2 is repealed. Sec. E-4. 20-A MRSA §1701-B, as amended by PL 2005, c. 12, Pt. WW, §18 is repealed. D. The tuition rate thus determined shall be adjusted by the average change in public secondary education costs for the 2 years immediately before the school year for which the tuition charge is computed. This adjustment shall be limited to a 6% increase. Beginning in school year 2010-11, this adjustment shall be limited to an increase no greater than the most recent year Consumer Price Index or other comparable index. 2. Maximum allowable tuition. The maximum allowable tuition charged to a school administrative unit by a private school is the rate established under subsection 1 or the state average per public secondary student cost as adjusted, whichever is lower, plus an insured value factor. For school year 2009-10 only, the maximum allowable tuition rate, prior to the addition of the insured value factor, shall be reduced by 2% then the insured value factor shall be based on this reduced rate. The insured value factor is computed by dividing 5% of the insured value of school buildings and equipment by the average number of pupils enrolled in the school on October 1st and April 1st of the year immediately before the school year for which the tuition charge is computed. For the 2008-09 school year only, a school administrative unit is not required to pay an insured value factor greater than 5% of the school's tuition rate per student, unless the legislative body of the school administrative unit votes to authorize its school board to pay a higher insured value factor that is no greater than 10% of the school's tuition rate per student. Beginning in school year 2009-10, a school administrative unit is not required to pay an insured value factor greater than 5% of the school's tuition rate or $500 per student, whichever is less, unless the legislative body of the school administrative unit votes to authorize its school board to pay a higher insured value factor that is no greater than 10% of the school’s tuition rate per student. I. A determination of whether the school administrative unit has exceeded its authority to expend, as provided by the total budget summary article. A. The municipal school administrative unit does not operate a school or schools. B. A school administrative unit audit is not necessary to meet federal audit requirements. C. The municipal school administrative unit files the municipal audit or audits that include the fiscal year specified in subsection 2. D. The school administrative unit is not a member of a school administrative district, community school district, regional school unit or alternative organizational structure. 8. Corrective Action Plan. The commissioner shall review the audits of the school administrative unit and determine if the school administrative unit should develop a corrective action plan for any audit issues specified in the annual audit. The corrective action plan shall address those audit findings and management comments and recommendations that have been identified by the commissioner and the plan must be filed within the timelines established by the commissioner. The school administrative unit must provide assurances to the commissioner that the unit has implemented the plan and its corrective action within the timelines established by the commissioner. If the school administrative unit has not met the conditions for submitting a corrective action plan or providing assurances that the school unit has implemented the plan, the commissioner may withhold monthly subsidy payments from a school administrative unit in accordance with section 6801-A. 3. Return required. An apportionment provided in this chapter, chapters 109, 205, 505 and 605606-B, and section 13601, and Title 20, section 3457, may not be paid to a school administrative unit by the Treasurer of State until returns required by law have been filed with the commissioner. A. The base total calculated pursuant to section 15683, subsection 2 is subject to the following annual targets. (1) For fiscal year 2005-06, the target is 84%. (2) For fiscal year 2006-07, the target is 90%. (3) For fiscal year 2007-08, the target is 95%. (4) For fiscal year 2008-09, the target is 97%. (5) For fiscal year 2009-10, the target is 97%. (6) For fiscal year 2010-11 and succeeding years, the target is 100% 97%. (7) For fiscal year 2011-12 and succeeding years, the target is 100%. B. The annual targets for the state share percentage of the statewide adjusted total cost of the components of essential programs and services are as follows. (1) For fiscal year 2005-06, the target is 52.6%. (2) For fiscal year 2006-07, the target is 53.86%. (3) For fiscal year 2007-08, the target is 53.51%. (4) For fiscal year 2008-09, the target is 52.52%. (5) For fiscal year 2009-10, the target is 50.95%48.93%. (6) For fiscal year 2010-11 and succeeding years, the target is 55%44.67%. (7) For fiscal year 2011-12 and succeeding years, the target is 55%. B. For property tax years beginning on or after April 1, 2005, the commissioner shall calculate the full-value education mill rate that is required to raise the statewide total local share. The full-value education mill rate is calculated for each fiscal year by dividing the applicable statewide total local share by the applicable statewide valuation. The full-value education mill rate must decline over the period from fiscal year 2005-06 to fiscal year 2008-09 and may not exceed 9.0 mills in fiscal year 2005-06 and may not exceed 8.0 mills in fiscal year 2008-09. The full-value education mill rate must be applied according to section 15688, subsection 3-A, paragraph A to determine a municipality's local cost share expectation. Full-value education mill rates must be derived according to the following schedule. (1) For the 2005 property tax year, the full-value education mill rate is the amount necessary to result in a 47.4% statewide total local share in fiscal year 2005-06. (2) For the 2006 property tax year, the full-value education mill rate is the amount necessary to result in a 46.14% statewide total local share in fiscal year 2006-07. (3) For the 2007 property tax year, the full-value education mill rate is the amount necessary to result in a 45.56% statewide total local share in fiscal year 2007-08. (4) For the 2008 property tax year, the full-value education mill rate is the amount necessary to result in a 45.99% statewide total local share in fiscal year 2008-09. (4-A) For the 2009 property tax year, the full-value education mill rate is the amount necessary to result in a 49.05%51.07% statewide total local share in fiscal year 2009-10. (4-B) For the 2010 property tax year and subsequent tax years, the full-value education mill rate is the amount necessary to result in a 45.0% 55.33% statewide total local share in fiscal year 2010-11 and after. (4-C) For the 2011 property tax year and subsequent tax years, the full-value education mill rate is the amount necessary to result in a 45.0% statewide total local share in fiscal year 2011-12 and after. (2) Multiplying 5% of each school administrative unit's essential programs and services per-pupil secondary rate by the average number of resident grade 9 to grade 12 pupils as determined under section 15674, subsection 1, paragraph C, subparagraph (1). iii. 3% for the 2011-12 funding year and subsequent years. These funds must be an adjustment to the school administrative unit's state and local allocation after the state and local allocation has been adjusted for debt service pursuant to subsection 2. Beginning July 1, 2007, these funds must be an adjustment to the school administrative unit's state and local allocation in addition to the state and local allocation that has been adjusted for debt service pursuant to subsection 2. (6) In fiscal year 2010-11 and succeeding years, 84%30% including funds provided under Title XIV, the State Fiscal Stabilization Fund of the American Recovery and Reinvestment Act of 2009. (7) In fiscal year 2011-12 and succeeding years, 30%. 2. Non-state-funded debt service. For a school administrative unit's indebtedness previously approved by its legislative body for non-state-funded major capital school construction projects or non-state-funded portions of major capital school construction projects and minor capital projects, the legislative body of each school administrative unit may vote to raise and appropriate an amount up to the municipality's or district's annual payments for non-state-funded debt service. A. An article in substantially the following form must be used when a school administrative unit is considering the appropriation for debt service allocation for non-state-funded school construction projects or non-state-funded portions of school construction projects and minor capital projects. (1) "Article ....: To see what sum the (municipality or district) will raise and appropriate for the annual payments on debt service previously approved by the legislative body for non-state-funded school construction projects, or non-state-funded portions of school construction projects and minor capital projects in addition to the funds appropriated as the local share of the school administrative unit's contribution to the total cost of funding public education from kindergarten to grade 12. (Recommend $......)"
Sec. C-17. Mill expectation. The mill expectation pursuant to the Maine Revised Statutes, Title 20-A, section 15671-A for fiscal year 2009-10 is 6.73 6.99 and shall be lowered to 6.37 6.69 as a result of funds provided under Title XIV, the State Fiscal Stabilization Fund of the American Recovery and Reinvestment Act of 2009 (H.R. 1, P.L. 111-5) as part of the amount restored to school administrative units in fiscal year 2009-10. * Subject to statewide distributions required by law. Sec. E-19. Waiver; required local contribution. For fiscal year 2009-10 general purpose aid for local school funding only, for those school administrative units that do not raise the increased required local contribution pursuant to Maine Revised Statutes, Title 20-A, section 15690, subsection 1 that results from increasing the mill expectation from 6.37 to 6.69, there will be no proportional reduction to the state share pursuant to Title 20-A, section 15690, subsection 1, paragraph C.
Sec. E-20. Mill expectation. The mill expectation pursuant to the Maine Revised Statutes, Title 20-A, section 15671-A for fiscal year 2010-11 is 7.66 and shall be lowered to 7.14 as a result of funds provided under Title XIV, the State Fiscal Stabilization Fund of the American Recovery and Reinvestment Act of 2009 (H.R. 1, P.L. 111-5) as part of the amount restored to school administrative units in fiscal year 2011. Sec. E-23. Limit of State's obligation. If the State's continued obligation for any individual component contained in sections 21 and 22 of this Part exceeds the level of funding provided for that component, any unexpended balances occurring in other programs may be applied to avoid proration of payments for any individual component. Any unexpended balances from this Part may not lapse but must be carried forward for the same purpose. Sec. E-24. Authorization of payments. Sections 21 and 22 of this Part may not be construed to require the State to provide payments that exceed the appropriation of funds for general purpose aid for local schools for the fiscal year beginning July 1, 2010 and ending June 30, 2011. It repeals statutory sections on budget requirements for school administrative district and community school district statutes that are no longer necessary. It adjusts the inflation factor for tuition rate calculations to be consistent with more current inflationary factors. It specifies a lower tuition rate calculation for 2009-10 to reflect the reduction in State aid to public school administrative units. It provides clarification in audit requirements to reflect current statutory requirements for the accounting of public funds in school administrative units. It corrects a statutory reference to the school funding act from the repealed Chapter 605 to the current school funding act Chapter 606-B. It specifies the appropriate percentages necessary for the 2010-11 funding level. It removes minor capital project debt from the definition of non-state-funded debt service and removes minor capital debt from the warrant article and explanation required for non-state-funded debt service approval. It specifies a mill expectation of 6.69 for fiscal year 2009-10; the total cost of funding public education from kindergarten to grade 12, consisting of total operating allocation, and the state and local share of those costs; and a waiver from the requirement that school administrative units must raise the additional mill rate expectation to reach 6.69 mills or face a reduction in the state contribution. It specifies a mill expectation of 7.66 for fiscal year 2010-11 and the total cost of funding public education from kindergarten to grade 12, consisting of total debt service allocation, total adjustments and total miscellaneous costs, and state share percentage. It also authorizes the lowering of the mill expectation from 7.66 to 7.14 with funds provided under Title XIV, the State Fiscal Stabilization Fund of the American Recovery and Reinvestment Act of 2009 (H.R. 1, P.L. 111-5) as part of the amount restored to school administrative units in fiscal year 2011. Sec. F-1. Lapse; unencumbered balance; BGS-Capital Construction Repair. Notwithstanding any other provision of law, the State Controller shall lapse $175,190 from the unencumbered balance in All Other and $24,809 in Capital Expenditures from the General Fund BGS-Capital Construction Repair Fund account in the Department of Administrative and Financial Services to General Fund unappropriated surplus at the close of fiscal year 2009-10. Sec. F-2. Transfer; unexpended funds; Sale of Property account. Notwithstanding any other provision of law, the State Controller shall transfer $55,174 in unexpended funds from the Other Special Revenue Funds, Sale of Property account in the Department of Administrative and Financial Services to General Fund unappropriated surplus at the close of fiscal year 2009-10. Sec. F-3. Transfer; unexpended funds; BPI Insurance and Loss Prevention Property account. Notwithstanding any other provision of law, the State Controller shall transfer $22,536 in unexpended funds from the Other Special Revenue Funds, BPI Insurance and Loss Prevention account in the Department of Administrative and Financial Services to General Fund unappropriated surplus at the close of fiscal year 2009-10. This part lapses certain unencumbered balances and transfers certain unexpended funds within accounts of the Bureau of General Services, Department of Administrative and Financial Services to General Fund unappropriated surplus at the end of fiscal year 2009-10. Sec. G-1. Transfer; unexpended funds; Food Vending Services account. Notwithstanding any other provision of law, the State Controller shall transfer $70,000 in unexpended funds from the Other Special Revenue Funds, Food Vending Services account in the Department of Administrative and Financial Services to General Fund unappropriated surplus at the close of fiscal year 2009-10. Sec. G-2. Transfer; unexpended funds; Bangor Campus Office Space account. Notwithstanding any other provision of law, the State Controller shall transfer $75,000 by June 30, 2010 and $25,000 by June 30, 2011 in unexpended funds from the Other Special Revenue Funds, Bangor Campus Office Space account in the Department of Administrative and Financial Services to General Fund unappropriated surplus. Sec. G-3. Transfer; unexpended funds; Monument for Women Veterans account. Notwithstanding any other provision of law, the State Controller shall transfer $9,500 in unexpended funds from the Other Special Revenue Funds, Monument for Women Veterans account in the Department of Administrative and Financial Services to General Fund unappropriated surplus at the close of fiscal year 2009-10. Sec. G-4. Transfer; unexpended funds; Memorial for Emergency Medical Services Personnel account. Notwithstanding any other provision of law, the State Controller shall transfer $2,000 in unexpended funds from the Other Special Revenue Funds, Memorial for Emergency Medical Services Personnel account in the Department of Administrative and Financial Services to General Fund unappropriated surplus at the close of fiscal year 2009-10. This part transfers certain unexpended funds within accounts of the Department of Administrative and Financial Services to General Fund unappropriated surplus at the end of fiscal years 2009-10 and 2010-11. Sec. H-1. Transfer; unexpended funds; BGS Capital Construction Reserve Fund account. Notwithstanding any other provision of law, the State Controller shall transfer $227,359 in unexpended funds from the Other Special Revenue Funds, BGS Capital Construction Reserve Fund account in the Department of Administrative and Financial Services to General Fund unappropriated surplus at the close of fiscal year 2009-10. Sec. H-2. Transfer; unexpended funds; BGS Capital Construction Reserve – MCJA account. Notwithstanding any other provision of law, the State Controller shall transfer $746 in unexpended funds from the Other Special Revenue Funds, BGS Capital Construction Reserve –MCJA account in the Department of Administrative and Financial Services to General Fund unappropriated surplus at the close of fiscal year 2009-10. Sec. H-3. Transfer; unexpended funds; BGS Capital Construction Reserve – MYC account. Notwithstanding any other provision of law, the State Controller shall transfer $131,671 in unexpended funds from the Other Special Revenue Funds, BGS Capital Construction Reserve –MYC account in the Department of Administrative and Financial Services to General Fund unappropriated surplus at the close of fiscal year 2010-11. Sec. H-4. Transfer; unexpended funds; BGS Capital Construction Reserve – Charleston account. Notwithstanding any other provision of law, the State Controller shall transfer $7,337 in unexpended funds from the Other Special Revenue Funds, BGS Capital Construction Reserve – Charleston account in the Department of Administrative and Financial Services to General Fund unappropriated surplus at the close of fiscal year 2009-10. Sec. H-5. Transfer; unexpended funds; BGS Capital Construction Reserve – Williams Pavillion account. Notwithstanding any other provision of law, the State Controller shall transfer $16,074 in unexpended funds from the Other Special Revenue Funds, BGS Capital Construction Reserve – Williams Pavillion account in the Department of Administrative and Financial Services to General Fund unappropriated surplus at the close of fiscal year 2009-10. This part transfers certain unexpended funds within various Capital Construction Reserve accounts of the Department of Administrative and Financial Services to General Fund unappropriated surplus at the end of fiscal years 2009-10 and 2010-11. Sec. I-1. Transfer; unexpended funds; Maine Solid Waste Management Fund account. Notwithstanding any other provision of law, the State Controller shall transfer $987,605 in unexpended funds from the Other Special Revenue Funds, Maine Solid Waste Management Fund account in the Department of Administrative and Financial Services to General Fund unappropriated surplus at the close of fiscal year 2010-11. Sec. I-2. Transfer; unexpended funds; A&C- Conference Account. Notwithstanding any other provision of law, the State Controller shall transfer $44,814 in unexpended funds from the Other Special Revenue Funds, A&C – Conference Account in the Department of Administrative and Financial Services to General Fund unappropriated surplus at the close of fiscal year 2009-10. This part transfers certain unexpended funds within various Other Special Revenue accounts of the Department of Administrative and Financial Services to General Fund unappropriated surplus at the end of fiscal years 2009-10 and 2010-11. Sec. J-1. Transfer; equity reserve fiscal year 2008-09; Retiree Health Insurance Internal Service Fund. Notwithstanding any other provision of law, the State Controller shall transfer $22,590,806 representing the General Fund share of excess equity reserve for retiree health insurance at June 30, 2009 from the Retiree Health Insurance Internal Service Fund in the Department of Administrative and Financial Services to the unappropriated surplus of the General Fund by June 30, 2010. The State Controller shall also transfer the equitable share of retiree health insurance excess equity reserve to each participating fund by June 30, 2010. Sec. J-2. Transfer; equity reserve fiscal year 2009-10; Retiree Health Insurance Internal Service Fund. Notwithstanding any other provision of law, the State Controller shall transfer $23,556,012 representing the projected General Fund share of excess equity reserve for retiree health insurance at June 30, 2010 from the Retiree Health Insurance Internal Service Fund in the Department of Administrative and Financial Services to the unappropriated surplus of the General Fund by June 30, 2010. The State Controller shall also transfer the equitable share of retiree health insurance excess equity reserve to each participating fund by June 30, 2010. Sec. J-3. Calculation and transfer; General Fund; Retiree Health Insurance savings. Notwithstanding any other provision of law, the State Budget Officer shall calculate the amount of savings identified in Part A of the Statewide-Retiree Health Insurance, General Fund account, Department of Administrative and Financial Services that applies against each General Fund account for departments and agencies statewide as a result of a rate reduction in Retiree Health Insurance. The State Budget Officer shall transfer the savings by financial order upon approval of the Governor. These transfers are considered adjustments to appropriations in fiscal year 2010-11. Sec. J-4. Transfer; Retiree Health Insurance savings; Other Special Revenue Fund accounts. Notwithstanding any other provision of law, the State Controller shall transfer $4,189,789 from Other Special Revenue Fund accounts to the unappropriated surplus of the General Fund by June 30, 2011. This fund transfer is a result of savings achieved by departments and agencies statewide from a rate reduction for retiree health insurance in fiscal year 2010-11. This part transfers excess equity reserves for retiree health insurance for fiscal years 2008-09, and 2009-10 to the unappropriated surplus of the General Fund by the close of fiscal year 2009-10. This part also transfers amounts related to savings in the General Fund and Other Special Revenue Fund accounts arising from rate reductions for retiree health insurance in fiscal year 2010-11. Sec. K-1. Transfer; unexpended funds; Taxation Revenue Collection account. Notwithstanding any other provision of law, the State Controller shall transfer $140,000 in unexpended funds from the Other Special Revenue Funds, Taxation Revenue Collection account in the Department of Administrative and Financial Services to General Fund unappropriated surplus at the close of fiscal year 2009-10. This Part transfers certain unexpended funds from the Other Special Revenue Funds, Taxation Revenue Collection account, in the Department of Administrative and Financial Services to General Fund unappropriated surplus at the close of fiscal year 2009-10. Sec. L-1. Transfer; unexpended funds; Bureau of Insurance. Notwithstanding any other provision of law, the State Controller shall transfer $3,500,191 in unexpended funds from the Other Special Revenue Funds, Bureau of Insurance account in the Department of Professional and Financial Regulation, to the unappropriated surplus of the General Fund no later than June 30, 2010. Sec. L-2. Transfer; unexpended funds; Insurance Assessment Fund account. Notwithstanding any other provision of law, the State Controller shall transfer $75,107 in unexpended funds from the Other Special Revenue Funds, Insurance Assessment Fund account in the Department of Professional and Financial Regulation, to the unappropriated surplus of the General Fund no later than June 30, 2010. Sec. L-3. Transfer; unexpended funds; Office of Securities account. Notwithstanding any other provision of law, the State Controller shall transfer $1,600,000 in unexpended funds from the Other Special Revenue Funds, Office of Securities account in the Department of Professional and Financial Regulation, to the unappropriated surplus of the General Fund no later than June 30, 2010. This part transfers certain unexpended funds within various Other Special Revenue Funds accounts of the Department of Professional and Financial Regulation to General Fund unappropriated surplus at the end of fiscal year 2009-10. Sec. M-1. Transfer; Fund for a Healthy Maine; General Fund. Notwithstanding any other provision of law, the State Controller shall transfer $3,925,515 by June 30, 2010 and $222,282 by June 30, 2011 from the Other Special Revenue Funds, Fund for a Healthy Maine account in the Department of Administrative and Financial Services to the unappropriated surplus of the General Fund. The transfer by June 30, 2010 represents unexpended funds at June 30, 2009 of $3,403,873 and the projected increase in revenue by the Revenue Forecasting Committee of $521,642. The transfer by June 30, 2011 represents the projected increase in revenue by the Revenue Forecasting Committee of $222,282 for fiscal year 2010-11. This Part transfers unexpended balances in the Fund for a Healthy Maine at the end of fiscal year 2008-09 as well as the forecasted increase in revenue in fiscal year 2009-10 and 2010-11 projected by the Revenue Forecasting Committee in December 2009 to the unappropriated surplus of the General Fund. Sec. N-1. Calculation and transfer; Highway Fund savings; central administration. Notwithstanding any other provision of law, the State Budget Officer shall calculate the amount of savings in the Statewide Service Center account in Part A that applies against each General Fund account for executive branch departments and agencies statewide from a decrease in charges by the Department of Administrative and Financial Services, Division of Financial and Personnel Services associated with savings from a reduction in retiree health insurance rates. The State Budget Officer shall transfer the amounts by financial order upon the approval of the Governor. These transfers are considered adjustments to appropriations in fiscal year 2010-11. This Part requires the State Budget Officer calculate the amount of savings in the Statewide Service Center account in Part A that applies against each General Fund account for executive branch departments and agencies statewide from a decrease in charges by the Department of Administrative and Financial Services, Division of Financial and Personnel Services associated with savings from a reduction in retiree health insurance rates. The State Budget Officer shall transfer the amounts by financial order upon the approval of the Governor. These transfers are considered adjustments to appropriations in fiscal year 2010-11. 2-B. Deposit Reimbursement. Notwithstanding subsection 2-A, if a balance of the fund administrator’s initial deposit into the fund remains unreimbursed on May 1, 2010, the fund administrator must be reimbursed its initial deposit into the fund in two disbursements, with ½ of the unreimbursed balance repaid on or before June 1, 2010, and the balance repaid on or before June 1, 2011. This Part provides for the expedited repayment to the fund administrator in the Bureau of Consumer Credit Protection, Department of Professional and Financial Regulation, of the unpaid balance of the initial deposit made to the Payroll Processor Recovery Fund which is housed by the Finance Authority of Maine. Sec. P-1. Maine State Library; lapsed balances. Notwithstanding any other provision of law, $5,810 of unencumbered balance forward from the Maine State Library, Library Special Acquisitions program, General Fund account, All Other line category lapses to the General Fund no later than June 30, 2010 to achieve targeted savings for fiscal year 2009-10. 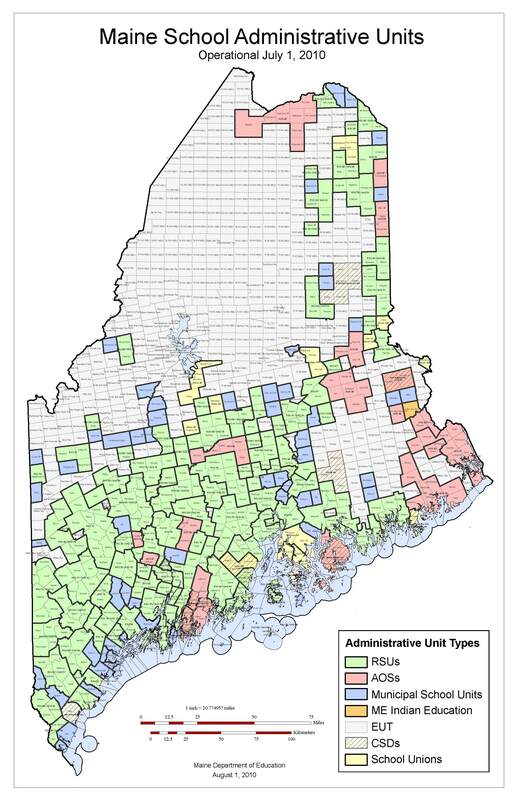 This Part provides that certain unencumbered balances of the Maine State Library, Library Special Acquisitions program lapse to the General Fund in fiscal year 2009-10. Sec. Q-1. Maine State Cultural Affairs Council; lapsed balances. Notwithstanding any other provision of law, $3,205 of unencumbered balance forward from the Maine State Cultural Affairs Council, New Century Program, General Fund account, All Other line category lapses to the General Fund no later than June 30, 2010 to achieve targeted savings for fiscal year 2009-10. This Part provides that certain unencumbered balances in the Maine State Cultural Affairs Council, New Century Program lapse to the General Fund in fiscal year 2009-10. Sec. R-1. Transfer; unexpended funds; Blaine House Renovations and Repairs Fund account. Notwithstanding any other provision of law, the State Controller shall transfer $2,960 in fiscal year 2009-10 from the Executive Department, Blaine House Renovations and Repairs Fund, Other Special Revenue Funds account to the unappropriated surplus of the General Fund. This Part provides that certain unexpended funds in an Executive Department Other Special Revenue Funds account are transferred to the General Fund in fiscal year 2009-10. Sec. S-1. Department of Agriculture, Food and Rural Resources, Pollution Control Structures – carrying account; lapsed balances; General Fund. Notwithstanding any other provision of law, $211,904 of unencumbered balance in the Pollution Control Structures program, General Fund account in the All Other line category account in the Department of Agriculture, Food and Rural Resources lapses to General Fund at the close of fiscal year 2009-10. This Part provides certain unencumbered balances in the Department of Agriculture, Food and Rural Resources, Pollution Control Structures program lapse to the General Fund in fiscal year 2009-10. Sec. T-1. Calculation and transfer; General Fund; technology savings. Notwithstanding any other provision of law, the State Budget Officer shall calculate the amount of savings in Part A of the Statewide Information Technology account, Department of Administrative and Financial Services that applies against each General Fund account for departments and agencies statewide to recognize additional technology savings. The State Budget Officer shall transfer the savings by financial order upon approval of the Governor. These transfers are considered adjustments to appropriations in fiscal years 2009-10 and 2010-11. This Part recognizes projected additional savings in the Statewide Information Technology account within the Department of Administrative and Financial Services for General Fund departments and agencies statewide. It authorizes the State Budget Officer to transfer funds and adjust the appropriations to the affected departments and agencies. The following provisions apply to an investigation of noncompliance with this chapter. 1. Complaint. An interested party may file with the commissioner a written complaint alleging that a school administrative unit or private school serving children with disabilities has failed to comply with this chapter. The complaint must allege a violation that occurred not more than one year prior to the date that the complaint is received unless a longer period is reasonable because a violation is continuing or the complaint is requesting compensatory services for a violation that occurred not more than 3 years prior to the date the complaint is received. Sec. U-2. Related Regulatory Provisions. Any regulatory provision in the Maine Department of Education Rule Chapter 101 relative to the statutory amendment of 20-A, MRSA, §7206, sub-§1, must be read in a manner consistent with, and not in conflict with, the statutory amendment until the relative amendments are made to the rule. This Part removes the option of providing more than one year for an interested party to allege a violation of compliance with statutory requirements and file a complaint. This amendment is proposed as part of the Department of Education’s effort to align the state requirement with the federal requirement and requires that any regulatory provisions, in the Maine Unified Special Education Regulation, Birth through Twenty (Maine Department of Education Rule Chapter 101) relative to the statutory amendment be read in a manner consistent with, and not in conflict with, the statutory amendment until the relevant amendments are made to the rule. Sec. V-1. 20-A MRSA §6651, sub-§6, as amended by PL 2005, c. 683, Pt. A, §26 and Pt. B, §10 and affected by PL 2005, c. 2, Pt. D, §§ 72 and 74 and by PL 2005, c. 12, Pt. WW, §18 is repealed. 2-A. Free, appropriate public education. “Free, appropriate public education" means special education and related services that are provided at public expense, under public supervision and direction and without charge; meet the standards of the department; include an appropriate preschool, elementary school or secondary school education in the State; and are provided in conformity with the individualized family service plan or individualized education program. Preschool children with disabilities who reach 5 years of age between July 1st and October 15th who are already receiving free, appropriate public education through the Child Development Services System and whose parents choose, in accordance with rules adopted by the commissioner, not to enroll those children in kindergarten until the start of the following school year must have free, appropriate public education available to them through the Child Development Services System for one additional school year. Sec. V-3. Related Regulatory Provisions. Any regulatory provision in the Maine Department of Education Rule Chapter 101 relative to the statutory amendment of the Maine Revised Statutes, Title 20-A, section 7001, subsection 2-A, must be read in a manner consistent with, and not in conflict with, the statutory amendment until the relative amendments are made to the rule. 1. Repeals the subsection on subsidizable costs of operating child care programs in private secondary schools that references the Essential Programs and Service Act under Chapter 223, subchapter 8. Child care has never been a component of the Essential Programs and Services Funding Act and other provisions of subsidizable costs are referenced elsewhere in statute. 2. It removes the option allowing children who reach 5 years of age between July 1st and October 15th, instead of the current September 1st and October 15th, to continue with the Child Development Services System as part of the Department’s effort to align the state requirement with federal requirement and requires that any regulatory provisions, in the Maine Unified Special Education Regulation, Birth through Twenty (Maine Department of Education Rule Chapter 101) relative to the statutory amendment be read in a manner consistent with, and not in conflict with, the statutory amendment until the relevant amendments are made to the rule. F. Director, Planning and Management Information. J. Director of Special Projects and External Affairs. 1. Amends Title 5, MRSA, to remove the Director, Planning and Management from the list of major policy influencing positions within the Department of Education. This unclassified position will be reclassified to Public Service Executive II, a classified position within the Department. This reclassification will reflect the same level of responsibility and function of similar classifications within the Department of Education. 2. Amends Title 20-A, MRSA, to remove the Director, Planning and Management from the list of Commissioner’s appointments within the Department of Education. This unclassified position will be reclassified to Public Service Executive II, a classified position within the Department. This reclassification will reflect the same level of responsibility and function of similar classifications within the Department of Education. This position was deleted from MRSA, Title 5, as a major policy influencing position in PL 2001, Chapter 1, §D-1. It should have been removed from Title 20-A at the same time. This section corrects that error. Sec. C-22. Carrying balance; Management Information Systems School Finance and Operations program, General Fund account. Notwithstanding any other provision of law, any balance remaining from the $3,500,000 appropriation in fiscal year 2007-08 to the Department of Education’s Management Information Systems program, General Fund for certain operational efficiencies, such as GIS routing software and consolidated payroll and accounting systems, associated with school consolidation that carried forward to fiscal year 2008-09 pursuant to Public Law 2007, chapter 539, Part NN, section 1 does not lapse but must carry forward in the School Finance and Operations program, to June 30, 2011 to be used for the same purpose. Sec. 1 Reimbursement to School Administrative District No. 11 for retirement contributions paid in error. Resolved: That, notwithstanding any other provision of law, the Governor must include in the biennial budget bill for the 2010-2011 biennial budget funding in the amount of $90,788 for the reimbursement to School Administrative District No. 11 for the State’s share of retirement contributions paid by the school district in error. to be offset by a reduction in the fiscal year 2009-10 appropriation for teacher retirement. Sec. WW-1. Maine Learning Technology Initiative computers and peripheral equipment. Notwithstanding any other provision of law, and except for computers and peripheral equipment purchased by a school district, the Department of Education shall dispose of computers and peripheral equipment purchased for the Maine Learning Technology Initiative through the Department of Administrative and Financial Services, Bureau of General Services' surplus property program. All proceeds from the sale or other disposal agreement net of selling and disposal costs must be deposited, as an adjustment to the account balance, in the General Purpose Aid for Local Schools Learning Through Technology General Fund, account within the Department of Education to be used for the continued support of the Maine Learning Technology Initiative. Sec. X-4. Lapsed balances; Workshops account in the Department of Education. Notwithstanding any other provision of law, the State Controller shall lapse $292,968 of the unencumbered balance forward in the Workshops Other Special Revenue Funds account in the Department of Education and transfer this balance to the General Fund as unappropriated surplus in fiscal year 2009-10. 1. Amends PL 2009, c. 213, Part C, section 22 to allow any balance remaining from a $3,500,000 appropriation in fiscal year 2007-08 to carry forward in the School Finance and Operations program, where the funding now resides. The Department of Education reorganized its accounting structure in the 2010-2011 biennial budget. Funding in the Management Information Systems program was moved to the School Finance and Operations program. 2. Amends Resolve 2007, c. 217, sec. 1 and removes the requirement to offset the $90,788 appropriation for the reimbursement from the Teacher Retirement account. 3. Amends PL 2005, c. 519, Part WW, section 1 to correct the program where the net proceeds of selling used computers and peripheral equipment must be deposited into from the General Purpose Aid for Local Schools account to the Learning Through Technology General Fund account. 4. Lapses $292,968 of the unencumbered balance forward from the Workshops and Training account. Funds are allowed to carry only once and were inadvertently carried forward. This balance shall be transferred to the General Fund as unappropriated surplus in fiscal year 2009-10. 9. Director. "Director" means the executive director of the board Special Investigations Lieutenant in the Maine State Police. E. The board shall keep records and minutes of its activities and meetings. These records and minutes must be made easily accessible to the public and be provided expeditiously upon request. The board shall distribute to all licensed emergency medical services persons a publication listing training opportunities, meeting schedules of the board, proposed rule changes and other information judged by the board to have merit in improving emergency medical patient care in the State. The board shall create, print and distribute this publication in the most cost-efficient manner possible. Any paid advertising utilized to accomplish this purpose may not be solicited by board members or staff and must be included in such a way that endorsement of a product or service by the board can not reasonably be inferred. The board may prepare, publish and disseminate educational and other materials to improve emergency medical patient care. This Part removes the requirement for the Board of Emergency Medical Services to print and distribute certain information to improve emergency medical patient care in the State, as this information will be made available electronically. This Part also amends the Gambling Control Board law to move oversight of the program to the State Police as the result of an initiative to eliminate the Director of Gambling Control Board; it also amends the duties of the director. Sec. Z-1. Department of Administrative and Financial Services; lease-purchase authorization. Pursuant to the Maine Revised Statutes, Title 5, section 1587, the Department of Administrative and Financial Services, on behalf of the Department of Public Safety, may enter into financing arrangements in fiscal years 2009-10 and 2010-11 for the acquisition of motor vehicles for the State Police. The financing arrangements entered into each fiscal year may not exceed $1,800,000 in principal costs, and a financing arrangement may not exceed 3 years in duration. The interest rate may not exceed 8%, and total interest costs with respect to the financing arrangements entered into in each fiscal year may not exceed $300,000. The annual principal and interest costs must be paid from the appropriate line category appropriations and allocations in the Department of Public Safety General Fund and Highway Fund accounts. Sec. Z-2. Transfer; unexpended funds; Emergency Medical Services. Notwithstanding any other provision of law, the State Controller shall transfer $192,949 in unexpended funds from the Other Special Revenue Funds, Emergency Medical Services account in the Department of Public Safety to General Fund unappropriated surplus at the close of fiscal year 2009-10. Sec. Z-3. Transfer; unexpended funds; Alcohol Server Education. Notwithstanding any other provision of law, the State Controller shall transfer $87,681 in unexpended funds from the Other Special Revenue Funds, Alcohol Server Education account in the Department of Public Safety to General Fund unappropriated surplus at the close of fiscal year 2009-10. Sec. Z-4. Transfer; unexpended funds; Administration. Notwithstanding any other provision of law, the State Controller shall transfer $2,000 in unexpended funds from the Other Special Revenue Funds, Administration account in the Department of Public Safety to General Fund unappropriated surplus at the close of fiscal year 2009-10. This Part authorizes the Department of Administrative and Financial Services to enter into COP financing for the acquisition of State Police motor vehicles. It also provides for the transfer of certain unexpended funds in various accounts of the Department of Public Safety to the General Fund unappropriated surplus in fiscal year 2009-10. Sec. AA-1. Department of Conservation, lapsed balances; Notwithstanding any other provision of law, $48,891 of unencumbered balance forward from the Division of Forest Protection program, General Fund carrying account, Capital Expenditures line category and $1,109 in the All Other line category lapses to the General Fund no later than June 30, 2010 and $150,000 of unencumbered balance forward from the Division of Forest Protection program, General Fund carrying account in the All Other line category lapses to the General Fund no later than June 30, 2011. Sec. AA-2. Transfer; unexpended funds; Division of Forest Protection account. Notwithstanding any other provision of law, the State Controller shall transfer $19,974 by the close of fiscal year 2009-10 and $92,296 by the close of fiscal year 2010-11 from the Other Special Revenue Funds, Division of Forest Protection account in the Department of Conservation to the unappropriated surplus of the General Fund. Sec. AA-3. Transfer; proceeds from sale of Jet Ranger helicopter; Division of Forest Protection. Notwithstanding 12 MRSA, §8003, Part M-1 or any other provision of law, the State Controller shall transfer $400,000, from the anticipated proceeds of the sale of a Jet Ranger helicopter, from the Other Special Revenue Funds, Division of Forest Protection account in the Department of Conservation, to the General Fund unappropriated surplus at the close of fiscal year 2009-10. The State Controller is further authorized to transfer unexpended funds from the Other Special Revenue Funds, Division of Forest Protection account in the Department of Conservation, to the General Fund unappropriated surplus should the proceeds from the sale of the helicopter by State Surplus be less than $400,000. Sec. AA-4. Transfer; unexpended funds; Geological Survey -05 PL 457 Part F account. Notwithstanding any other provision of law, the State Controller shall transfer $29,635 from the Other Special Revenue Funds, Geological Survey-05 PL 457 Part F account in the Department of Conservation to the unappropriated surplus of the General Fund by the close of fiscal year 2009-10. This Part lapses certain unencumbered balances in the Department of Conservation to the General Fund unappropriated surplus at the close of fiscal years 2009-10 and 2010-11. The Part also transfers certain unexpended funds in various Other Special Revenue Fund accounts in the Department of Conservation to the unappropriated surplus of the General Fund at the close of fiscal years 2009-10 and 2010-11. This Part further authorizes the State Controller to transfer proceeds of the sale of a helicopter by the Department of Conservation in fiscal year 2009-10 to the unappropriated surplus of the General Fund. Sec. BB-1. Transfer; unexpended funds; Fund for the Efficient Delivery of Local and Regional Services account. Notwithstanding any other provision of law, the State Controller shall transfer $35,500 from the Other Special Revenue Funds, Fund for the Efficient Delivery of Local and Regional Services account in the Department of Administrative and Financial Services to the unappropriated surplus of the General Fund by the close of fiscal year 2009-10. This Part transfers unexpended funds from Other Special Revenue Funds, Fund for the Efficient Delivery of Local and Regional Services account in the Department of Administrative and Financial Services to the unappropriated surplus of the General Fund by the close of fiscal year 2009-10. Sec. CC-1. Legislature; lapsed balances; fiscal year 2009-10. Notwithstanding any other provision of law, $1,096,299 of unencumbered balance forward from the various program accounts and line categories in the legislative accounts, as specified by the Executive Director of the Legislative Council, lapses to the General Fund in fiscal year 2009-10. The executive director shall review the legislative accounts and identify to the State Controller and State Budget Officer by May 15, 2010 the unencumbered balance forward amounts by account and line category totaling $1,096,299 that will lapse to the General Fund to achieve targeted savings for fiscal year 2009-10. Sec. CC-2. 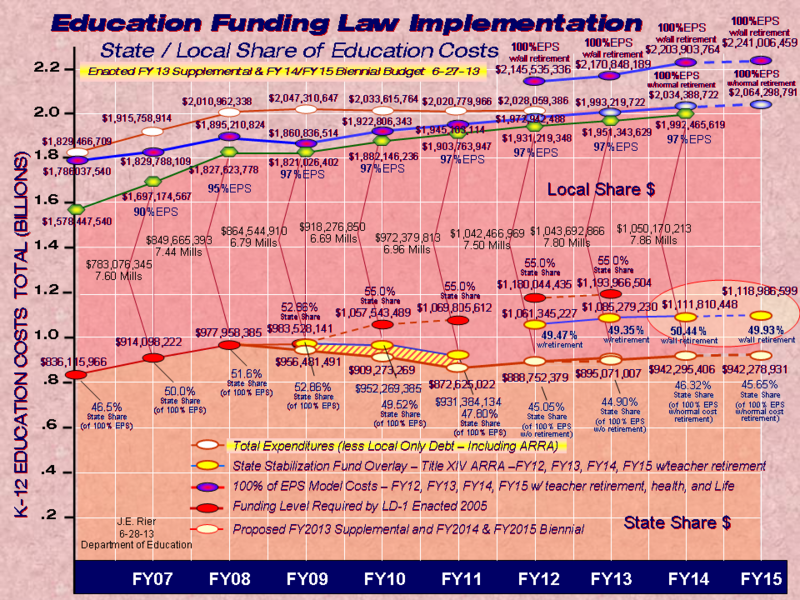 Legislature; lapsed balances; fiscal year 2010-11. Notwithstanding any other provision of law, $1,198,166 of unencumbered balance forward from the various program accounts and line categories in the legislative accounts, as specified by the Executive Director of the Legislative Council, lapses to the General Fund in fiscal year 2010-11. The executive director shall review the legislative accounts and identify to the State Controller and State Budget Officer by May 15, 2011 the unencumbered balance forward amounts by account and line category totaling $1,198,166 that will lapse to the General Fund to achieve targeted savings for fiscal year 2010-11. This Part provides that a total of $1,096,299 from legislative accounts within the Legislature lapses to the General Fund in fiscal year 2009-10 and a total of $1,198,166 from legislative accounts within the Legislature lapses to the General Fund in fiscal year 2010-11. As a result of the downward adjustments to General Fund revenue for the current fiscal year, these adjustments will achieve savings of $1,096,299 in fiscal year 2009-10 and $1,198,166 in fiscal year 2010-11 for the Legislative Branch. Sec. DD-1. Transfer; unexpended funds; Bureau of Revenue Services Fund. Notwithstanding any other provision of law, the State Controller shall transfer $350,000 by June 30, 2010 and $200,000 by June 30, 2011 in unexpended funds from the Bureau of Revenue Services Fund in the Department of Administrative and Financial Services to General Fund unappropriated surplus. This Part provides for the transfer of certain unexpended funds from the Bureau of Revenue Services Fund in the Department of Administrative and Financial Services to General Fund unappropriated surplus. Sec. EE-1. PL 2009, c. 213, Pt. LLL §1 is repealed. This Part repeals Public Law 2009, c. 213, Pt. LLL §1 which provided for the calculation and transfer of savings from the elimination of positions in the Department of Corrections. The savings and headcount elimination are now reflected in Part A of this bill. The Department of Corrections has determined the savings by account and the positions to be eliminated in Part A, therefore, the calculation and fund transfer by Financial Order in chapter 213, Part LLL §1 is no longer required. Sec. FF-1. Sale or lease of state properties; proceeds to be deposited in General Fund. Notwithstanding any other provision of law, the Commissioner of Administrative and Financial Services may identify any proceeds in whole or in part from the sale or lease of state-owned properties by the Commissioner as authorized by the Legislature, in an amount not to exceed $500,000 to be deposited as undedicated revenue to the General Fund no later than June 30, 2011. This Part recognizes up to $500,000 in undedicated revenue to the General Fund from proceeds in whole or in part from the sale or lease of state-owned properties, as authorized by the Legislature. 14. Sales factor formula. The sales factor is a fraction, the numerator of which is the total sales of the taxpayer in this State during the tax period, and the denominator of which is the total sales of the taxpayer everywhere during the tax period. For purposes of calculating the sales factor, “total sales of the taxpayer” includes sales of the taxpayer and of any member of an affiliated group with which the taxpayer conducts a unitary business. The formula must exclude from both the numerator and the denominator sales of tangible personal property delivered or shipped, regardless of F.O.B. point or other conditions of the sale, to a purchaser within a state in which the taxpayer, or any member of any affiliated group with which the taxpayer conducts a unitary business, is not taxable within the meaning of subsection 2. This Part adopts the process called the Finnigan approach for purposes of calculating the sales apportionment factor for C corporations. The Finnigan approach treats all members of the taxpayer’s unitary affiliated group, whether they have nexus with Maine or not, as one entity. As a result, sales from the non-nexus affiliates within the unitary business of the taxpayer to Maine customers are included in both the numerator and the denominator as if the non-nexus entity had nexus with Maine. There are established the 2010 Tax Receivables Reduction Initiatives, referred to in this chapter as “the initiatives” and consisting of 2 separate initiatives, referred to in this chapter as the “short-term initiative” and the “5-year initiative.” The initiatives are intended to encourage delinquent taxpayers to pay existing tax obligations. The goal of the initiatives is to raise revenue during fiscal year 2010-11 and to reduce existing tax receivables. 4. No collection by warrant or civil action. Is not applying for relief with respect to a tax liability for which the State has secured a warrant or civil judgment in its favor in Superior Court. This chapter may not be construed to prohibit the State Tax Assessor from instituting civil or criminal proceedings against any taxpayer with respect to any amount of tax that is not paid with the 2010 tax initiatives application described in section 6605 or on any other return filed with the assessor. The time period during which a 2010 tax initiatives application described in section 6605 may be filed is September 1, 2010 to November 30, 2010. The assessor shall prepare and make available the 2010 tax initiatives application. The application and associated guidelines prepared by the State Tax Assessor, which govern participation in the initiatives, are exempt from the Maine Administrative Procedure Act. Each application requires the approval of the assessor and must include the amount of tax, interest and penalty to be paid, as determined pursuant to section 6606, the initiative being applied for and the periods to which the liability applies. The assessor may deny any application not consistent with this chapter. 1. Short-term initiative. A taxpayer who participates in the short-term initiative and whose application is approved by the State Tax Assessor is entitled to a waiver by the assessor of 95% of the penalties otherwise due. 2. Five-year initiative. A taxpayer who participates in the 5-year initiative and whose application is approved by the assessor is entitled to a waiver by the assessor of 95% of the penalties and interest otherwise due. An enforced collection action, including, but not limited to, a wage levy, bank levy or refund setoff, is not stayed until a taxpayer’s application under section 6605 has been accepted by the State Tax Assessor and the taxpayer has paid all the tax, interest and penalties due pursuant to section 6602, subsection 2. This Part enacts the 2010 Tax Receivables Reduction Initiatives to raise revenue and reduce outstanding tax receivables. There are 2 separate initiatives: a short-term initiative which applies to tax liabilities that are assessed as of December 31, 2009; and a 5-year initiative, which applies to tax liabilities that were assessed as of June 30, 2005. A taxpayer who participates in the short-term initiative is eligible for a waiver of 95% of the penalties due upon payment of the tax and interest. A taxpayer who participates in the 5-year initiative is eligible for a waiver of 95% of the interest and penalties otherwise due upon payment of the tax. "Eligible business equipment" means qualified property that, in the absence of this subchapter, would first be subject to assessment under this Part on or after April 1, 2008. "Eligible business equipment" includes, without limitation, repair parts, replacement parts, replacement equipment, additions, accessions and accessories to other qualified business property that first became subject to assessment under this Part before April 1, 2008 if the part, addition, equipment, accession or accessory would, in the absence of this subchapter, first be subject to assessment under this Part on or after April 1, 2008. "Eligible business equipment" also includes inventory parts. (8) Personal property that would otherwise be entitled to exemption under this chapter used primarily to support a telecommunications antenna as used by a telecommunications business subject to the tax imposed by section 457. D. Personal property that would otherwise be entitled to reimbursement under this chapter used primarily to support a telecommunications antenna as used by a telecommunications business subject to the tax imposed by section 457. This subsection applies to property tax years beginning after April 1, 1996. Property affected by this subsection that was eligible for reimbursement pursuant to chapter 915 of property taxes paid for the 1996 property tax year is grandfathered into the program and continues to be eligible for reimbursements unless it subsequently becomes ineligible. Sec. II-3. Application. That section of this Part that amends the Maine Revised Statutes, Title 36, section 691, subsection 1, paragraph A applies to property tax years beginning on or after April 1, 2010. That section of this Part that amends the Maine Revised Statutes, Title 36, section 6652, subsection 1-B applies to application periods beginning on or after August 1, 2010. This Part excludes a telecommunications tower supporting an antenna used by a telecommunications business from the business equipment tax exemption program for property tax years beginning on or after April 1, 2010. This Part excludes a telecommunications tower supporting an antenna used by a telecommunications business from the Business Equipment Tax Reimbursement program for application periods beginning on or after August 1, 2010 for property taxes paid in calendar year 2009 and subsequent calendar years. 5-C. Transfers to General Fund. For the months beginning on or after July 1, 2009, $18,758,840 $30,758,840 in fiscal year 2009-10 and $25,260,943 $40,260,943 in fiscal year 2010-11 from the total transfers pursuant to subsection 5 must be transferred to General Fund undedicated revenue. The amounts transferred to General Fund undedicated revenue each fiscal year pursuant to this subsection must be deducted from the distributions required by subsections 4-A and 4-B based on the percentage share of the transfers to the Local Government Fund pursuant to subsection 5. The reductions in this subsection must be allocated to each month proportionately based on the budgeted monthly transfers to the Local Government Fund as determined at the beginning of the fiscal year. Sec. JJ-2. Transfers to General Fund for fiscal year 2009-10. Notwithstanding the requirement in the Maine Revised Statutes, Title 30-A, section 5681, subsection 5-C that amounts be transferred to General Fund undedicated revenue on a proportionate basis, for fiscal year 2009-10, the transfer of the amount as increased pursuant to this Part must be transferred on a proportional basis based on the number of months remaining in fiscal year 2009-10 following the effective date of this Part. This Part requires an additional transfer from the Local Government Fund to the General Fund of $12,000,000 in fiscal year 2009-10 and $15,000,000 in fiscal year 2010-11. The increased amount for fiscal year 2009-10 must be transferred on a proportional basis based on the number of months remaining in the fiscal year. 2-A. Income eligibility. For application periods beginning on or after August 1, 2008, a A single-member household with a household income in excess of $60,000 $36,900 and a household with 2 or more members with a household income in excess of $80,000 $49,200 are not eligible for a benefit. 4. Income eligibility adjustment. Beginning March 1, 2009 2011, the State Tax Assessor shall annually multiply the household income eligibility adjustment factor by the maximum income eligibility amounts specified in section 6207, subsection 2-A, as previously adjusted. The result must be rounded to the nearest $50 and applies to the application period beginning the next August 1st. Sec. KK-3. Application. The section of this Part that amends the Maine Revised Statutes, Title 36, section 6207, subsection 2-A applies to application periods beginning on or after August 1, 2010. This Part amends the Maine Residents Property Tax Program by modifying the income limitations to restrict eligibility for the program to single member households with income of $36,900 or less and households with 2 or more members to $49,200 or less. This Part also advances the date on annual income eligibility adjustment to reflect the change in section 6207(2-A). 3. Deposit and payment of revenue. On or before June 30th July 15th of each year, if the approval of the assessor has been issued pursuant to subsection 2, the Commissioner of Administrative and Financial Services shall deposit an amount equal to 50% of the employment tax increment for the preceding year into a contingent account established, maintained and administered by the Commissioner of Administrative and Financial Services. On or before July 31st of each year, the Commissioner of Administrative and Financial Services shall pay that amount to the fund. Deposit and payment of revenue. On or before June 30th July 15th of each year, the Commissioner of Administrative and Financial Services shall deposit an amount equal to the total retained employment tax increment revenues for the preceding calendar year for approved employment tax increment financing programs in the state employment tax increment contingent account established, maintained and administered by the Commissioner of Administrative and Financial Services. On or before July 31st of each year, the Commissioner of Administrative and Financial Services shall pay to each approved qualified business an amount equal to the retained employment tax increment revenues for the preceding calendar year. This Part changes the date of the employment tax increment financing deposit from on or before June 30th to July 15th of each year and delays the deposit of the Loring Development Authority payment from June 30 to July 15th beginning in fiscal year 2009-10. 4. Estimated and final payments by the State. Reimbursement to municipalities must be made in the following manner. A. The bureau shall estimate the amount of reimbursement required under this section for each municipality and certify 80% 75% of the estimated amount to the Treasurer of State by August 1st, annually. The Treasurer of State shall pay by August 15th, annually, the amount certified to each municipality entitled to reimbursement. B. A municipality claiming reimbursement under this section shall submit a claim to the bureau by November 1st of the year in which the exemption applies or within 30 days of commitment of taxes, whichever occurs later. The bureau shall review the claims and determine the total amount to be paid. The bureau shall certify and the Treasurer of State shall pay by December July 15th of the year following the year in which the exemption applies the difference between the estimated payment issued and the amount that the bureau finally determines for that tax year the year in which the exemption applies. Municipal claims that are timely filed after November 1st must be paid as soon as reasonably possible after the December 15th payment date. If the total amount of reimbursement to which a municipality is entitled is less than the amount received under paragraph A, the municipality shall repay the excess to the State by December 30th of the that year, or the amount may be offset against the amount of state-municipal revenue sharing due the municipality under Title 30-A, section 5681. Sec. MM-2. Application. That section of this Part that amends the Maine Revised Statutes, Title 36, section 685 applies to reimbursements for property tax years beginning on or after April 1, 2010. This Part adjusts the estimated reimbursement under the Homestead Program payment to 75% and the final reimbursement payment to 25% and delays the due date for the final payment to the following fiscal year. F-8. Any employee of the Finance Authority of Maine. This Part amends current statutes to include any employee of the Finance Authority of Maine as eligible for participation in the State of Maine group health plan. Sec. OO-1. Compensation and Benefit Plan; lapsed balances; Administrative and Financial Services, General Fund. Notwithstanding any other provision of law, $13,500,000 of unencumbered balance forward in the Personal Services line category in the Compensation and Benefit Plan, General Fund account in the Department of Administrative and Financial Services lapses to the General Fund at the close of fiscal year 2009-10. This Part lapses $13,500,000 of unencumbered balance forward in the Personal Services line category in the Compensation and Benefit Plan, General Fund account in the Department of Administrative and Financial Services to the General Fund at the close of fiscal year 2009-10. Sec. D-6. Allocations from General Fund bond issue. The proceeds of the sale of the bonds authorized under this Part must be expended as designated in the following schedule. Provides funds for research, development and product innovation associated with developing one or more ocean wind energy demonstration sites. This Part corrects the Allocations from General Fund bond issue approved in PL 2009 c. 414, Pt. D, §D-6 from the Department of Administrative and Financial Services to the University of Maine System to account for funds allocated for the Maine Marine Wind Energy Demonstration Site Fund. Sec. -1. Transfer; unexpended funds; Criminal History Record Check Fund account. Notwithstanding any other provision of law, the State Controller shall transfer $140,000 in unexpended funds from the Other Special Revenue Funds, Criminal History Record Check Fund account in the Department of Education, to the unappropriated surplus of the General Fund no later than June 30, 2010. This Part transfers certain unexpended funds from the Other Special Revenue Funds, Criminal History Record Check Fund account in the Department of Education, to the unappropriated surplus of the General Fund no later than June 30, 2010. Sec. RR-1. Calculation and transfer; General Fund savings. Notwithstanding any other provision of law, the State Budget Officer shall calculate the amount of savings in the Statewide – General Fund Savings account, Department of Administrative and Financial Services in Part A through reductions in funding against each General Fund account for all executive branch departments and agencies to maintain costs within available resources and shall transfer the amounts by financial order upon approval of the Governor. These transfers are considered adjustments to appropriations in fiscal years 2009-10 and 2010-11. This Part provides for the calculation and transfer of savings from a reduction in funding against departments and agencies statewide to maintain costs within available resources. These transfers are considered adjustments to appropriations in fiscal years 2009-10 and 2010-11. Sec. SS-1. Transfer; Workers’ Compensation savings; Other Special Revenue Fund accounts. Notwithstanding any other provision of law, the State Controller shall transfer $929,280 by June 30, 2010 and $723,114 by June 30, 2011 from Other Special Revenue Funds accounts to the unappropriated surplus of the General Fund. This fund transfer represents savings from a return of excess equity for fiscal year 2009-10 and savings from a reduction in workers’ compensation rates for departments and agencies statewide for fiscal year 2010-11. This Part transfers certain balances from Other Special Revenue Fund accounts to the unappropriated surplus of the General Fund in both fiscal year 2009-10 and 2010-11. This fund transfer represents savings from a return of excess equity for fiscal year 2009-10 and savings from a reduction in workers’ compensation rates for departments and agencies statewide for fiscal year 2010-11. Sec. TT-1. Transfer of funds; Other Special Revenue Fund accounts; Department and Agencies –Statewide. Notwithstanding any other provision of law, the State Controller shall transfer $4,652,635, as a result of savings achieved from shutdown days and other statewide reductions, from the Other Special Revenue Funds accounts for departments and agencies statewide to the unappropriated surplus of the General Fund at the close of fiscal year 2010-11. This Part transfers from shutdown days and other statewide reductions authorized in 2009 PL c. 213, from Other Special Revenue Fund accounts for departments and agencies statewide to the unappropriated surplus of the General Fund at the close of fiscal year 2010-11. The right of election of the surviving spouse may be exercised only during his lifetime by him. In the case of a protected person, the right of election may be exercised only by order of the court in which protective proceedings as to his property are pending, after finding that exercise is necessary to provide adequate support for the protected person during his probable life expectancy. If the court determines that the surviving spouse needs the elective share to provide adequate support during the surviving spouse’s probable life expectancy, notwithstanding any current or future eligibility for public assistance, the court shall exercise the right of election on behalf of the surviving spouse to achieve the maximum amount of support available. (2) Any other real and personal property and other assets in which the recipient had any legal interest at the time of death, to the extent of that interest, including assets conveyed to a survivor, heir or assign of the deceased recipient through tenancy in common, joint tenancy, survivorship, life estate, living trust, joint tenancy in personal property or other arrangement but not including joint tenancy in real property. This Part changes current statute such that it will not permit the denial of a spouse's rights to elective share merely because they are being support by public benefits. This Part also amends the definition of "estate" for the purposes of recovery by the Department of Health and Human Services for MaineCare expenditures to include joint tenancy in real property. For state fiscal years beginning on or after July 1, 2005 through June 30, 2009, the department shall reimburse licensed critical access hospitals at 117% of MaineCare allowable costs for both inpatient and outpatient services provided to patients covered by the MaineCare program. For state fiscal years beginning on or after July 1, 2009 through June 30, 2010, for each critical access hospital fiscal year up to but not including the hospital fiscal year beginning on or after April 1, 2011, the department shall reimburse licensed critical access hospitals at 109% of MaineCare allowable costs for both inpatient and outpatient services provided to patients covered by the MaineCare program. For state fiscal years beginning on or after July 1, 2010 for each critical access hospital fiscal year up to but not including the hospital fiscal year beginning on or after April 1, 2011, the department shall reimburse licensed critical access hospitals at 101% of MaineCare allowable costs for both inpatient and outpatient services provided to patients covered by the MaineCare program. Of the total allocated from hospital tax revenues under Title 36, chapter 375, $1,000,000 in state and federal funds must be distributed annually among critical access hospitals for staff enhancement payments. This section is repealed April 1, 2012. This Part reduces the reimbursement for critical access hospitals from 109% of MaineCare allowable costs to 101% of MaineCare allowable costs. This Part repeals the provision that requires the Department of Health and Human Services to establish maximum rates for child care that are at least equal to the 75th percentile of local market rates for various categories of child care and higher rates for children with special needs beginning in fiscal year 2011-12. 2. Balances of funds not to lapse. Any balances of funds appropriated for the programs of TANF or ASPIRE shall not lapse but shall be carried forward from year to year to be expended for the same purpose. PL 2007, c. 282 repealed the provision that allowed General Fund appropriation balances in the Temporary Assistance for Needy Families or the Additional Support for Persons in Retraining and Employment programs to carry forward from year to year. This part reenacts that provision. 1. Departmental reimbursement. When a municipality incurs net general assistance costs in any fiscal year in excess of .0003 of that municipality's most recent state valuation relative to the state fiscal year for which reimbursement is being issued, as determined by the State Tax Assessor in the statement filed as provided in Title 36, section 381, the Department of Health and Human Services shall reimburse the municipality for 90 50% of the amount in excess of these expenditures when the department finds that the municipality has been in compliance with all requirements of this chapter. If a municipality elects to determine need without consideration of funds distributed from any municipally-controlled trust fund that must otherwise be considered for purposes of this chapter, the department shall reimburse the municipality for 66 2/3% of the amount in excess of such expenditures when the department finds that the municipality has otherwise been in compliance with all requirements of this chapter. Sec. YY -2. 22 MRSA §4311, sub-§2, as amended by PL 1991, c. 9, Pt. U, §9 is repealed. 2-A. Submission of reports. Municipalities must submit quarterly or semiannual reports on forms provided by the department. This Part changes the provision in the General Assistance program that reimbursed a municipality for 90% of the amount in excess of .0003 of the municipality’s most recent state valuation to a reimbursement of 50% of the amount in excess of .0003 of the municipality’s most recent state valuation. It also changes the reporting provisions to allow all municipalities to report on a quarterly or semiannual basis. 3. Mental retardation. "Mental retardation" Developmental disability. “Developmental disability” means a condition of significantly subaverage intellectual functioning resulting in or associated with concurrent impairments in adaptive behavior and manifested during the developmental period. 3-A. Mentally retarded. In future revisions of this Title, wherever "the mentally retarded" or "mentally retarded persons," or "mentally retarded clients" appears, the phrase "persons with mental retardation developmental disability" should be substituted. 3-B. Person. "Person" means an adult with mental retardation or autism a developmental disability. Sec. ZZ-4. Rename Mental Retardation Services – Community program. Notwithstanding any provision of law, the “Mental Retardation Services – Community program” within the Department of Health and Human Services is renamed the “Developmental Services – Community” program. Sec. ZZ-5. Rename Medicaid Services – Mental Retardation program. Notwithstanding any provision of law, the “Medicaid Services - Mental Retardation” program within the Department of Health and Human Services is renamed the “Medicaid Services - Developmental Services” program. Sec. ZZ-6. Rename Mental Retardation Waiver - MaineCare program. Notwithstanding any provision of law, the “Mental Retardation Waiver - MaineCare” program within the Department of Health and Human Services is renamed the “Developmental Services Waiver - MaineCare” program. Sec. ZZ-7. Rename Mental Retardation Waiver – Supports program. Notwithstanding any provision of law, the “Mental Retardation Waiver - Supports” program within the Department of Health and Human Services is renamed the “Developmental Services Waiver - Supports” program. implement this revision when updating, publishing or republishing the statutes. This Part renames several programs within the Department of Health and Human Services, amends several definitions within Title 34-B to use the phrase “developmental disabilities” consistently and directs the Revisor of Statutes to revise statutory references when updating, publishing or republishing the statutes. For the state fiscal year beginning on July 1, 2003, a tax is imposed against each hospital in the State. The tax is equal to .74% of net operating revenue for the tax year as identified on the hospital's most recent audited annual financial statement for that tax year. Delinquent tax payments are subject to Title 22, section 3175-C.
For state fiscal years beginning on or after July 1, 2004, a tax is imposed annually against each hospital in the State. The tax is equal to 2.23% of the hospital's net operating revenue as identified in the hospital's audited financial statement for the hospital's taxable year. For the state fiscal year beginning July 1, 2004, the hospital's taxable year is the hospital's fiscal year that ended during calendar year 2002. For the state fiscal year beginning July 1, 2005, the hospital's taxable year is the hospital's fiscal year that ended during calendar year 2003. For state fiscal years beginning on or after July 1, 2006 but before July 1, 2008, the hospital's taxable year is the hospital's fiscal year that ended during calendar year 2004. For state fiscal years beginning on or after July 1, 2008, the hospital's taxable year is the hospital's fiscal year that ended during calendar year 2006. For state fiscal years beginning on or after July 1, 2010, the hospital's taxable year is the hospital's fiscal year that ended during calendar year 2008. This Part updates the base year for the hospital tax. Sec. BBB -1. Transfer from unappropriated surplus; Office of Integrated Access and Support - Central Office, Other Special Revenue Funds account; indirect cost allocation settlements. Notwithstanding any other provision of law, the State Controller shall transfer $3,804,827 by June 30, 2010 from the unappropriated surplus of the General Fund to the Office of Integrated Access and Support – Central Office, Other Special Revenue Funds account within the Department of Health and Human Services for indirect cost allocation settlements. Sec. BBB -2. Transfer from unappropriated surplus; Family Independence - Regional, Other Special Revenue Funds account; indirect cost allocation settlements. Notwithstanding any other provision of law, the State Controller shall transfer $1,569,406 by June 30, 2010 from the unappropriated surplus of the General Fund to the Family Independence - Regional, Other Special Revenue Funds account within the Department of Health and Human Services for indirect cost allocation settlements. Sec. BBB-3. Transfer from unappropriated surplus; Administrative Hearings, Other Special Revenue Funds account; indirect cost allocation settlements. Notwithstanding any other provision of law, the State Controller shall transfer $439,694 by June 30, 2010 from the unappropriated surplus of the General Fund to the Administrative Hearings, Other Special Revenue Funds account within the Department of Health and Human Services for indirect cost allocation settlements. This Part requires the State Controller to transfer a total of $5,813,927 in fiscal year 2009-10 from the unappropriated surplus of the General Fund to Other Special Revenue Funds accounts within the Department of Health and Human Services to settle indirect cost allocation settlements. Sec. CCC-1. Transfer from Other Special Revenue Funds to unappropriated surplus of the General Fund. Notwithstanding any other provision of law, the State Controller shall transfer $93,475,000 on June 30, 2010 from Other Special Revenue Funds to the unappropriated surplus of the General Fund. On July 1, 2010, the State Controller shall transfer $93,475,000 from the General Fund unappropriated surplus to Other Special Revenue funds as repayment. This transfer is considered an interfund advance. This Part transfers $93,475,000 on June 30, 2010 from Other Special Revenue Funds to the unappropriated surplus of the General Fund. On July 1, 2010, the State Controller shall transfer $93,475,000 from the General Fund unappropriated surplus, as repayment. This transfer is considered an interfund advance. Sec. DDD-1. Working group to achieve savings in natural resources departments. By March 15, 2010, a working group shall report to the Joint Standing Committee on Appropriations and Financial Affairs a plan, including any necessary statutory or unallocated language, to achieve savings of $1,250,000 during fiscal year 2010-11 from the Department of Agriculture, Food and Rural Resources, Department of Conservation, Department of Inland Fisheries and Wildlife and Department of Marine Resources. The working group members are: the Commissioner of the Department of Administrative and Financial Services or designee, who shall serve as chair; the Director of the Executive Department, State Planning Office or designee; the Director of the Bureau of General Services of the Department of Administrative and Financial Services or designee; the Chief Information Officer of the Office of Information Technology of the Department of Administrative and Financial Services or designee; and a policy advisor in the Governor’s Office selected by the Governor. The Executive Department, State Planning Office and the Division of Financial and Personnel Services of the Department of Administrative and Financial Services shall provide staff assistance to the working group. Otherwise create efficiencies and cost-savings in the provision of services. Sec. DDD-2. Contingency adjustment. In the event that the working group described in section DDD-1 fails to identify the savings required on or before March 15, 2011, the State Budget Officer shall calculate each natural resources department’s proportionate share of $1,250,000 savings identified in the Statewide Natural Resources account within the Department of Administrative and Financial Services, based on each respective department’s authorized General Fund appropriations. Notwithstanding any other provision of law, the State Budget Officer shall transfer by financial order the amount of each department’s respective share of $1,250,000, upon approval of the Governor. These transfers are considered adjustments to appropriations in fiscal year 2010-11. This Part creates a working group to achieve $1,250,000 savings in fiscal year 2010-11 in the Department of Agriculture, Food and Rural Resources, Department of Inland Fisheries and Wildlife, Department of Conservation and Department of Marine Resources. The working group is to report a plan to achieve these savings to the Joint Standing Committee on Appropriations and Financial Affairs by March 15, 2011. If the working group fails to identify the savings required the State Budget Officer will calculate each natural resources department’s proportionate share of the $1,250,000 and transfer by financial order the amount of each department’s respective share upon approval of the Governor. Sec. EEE-1. Commissioner to achieve savings in economic and community development department. By March 15, 2010, the Commissioner of Economic and Community Development and a policy advisor in the Governor’s Office selected by the Governor shall report to the Joint Standing Committee on Appropriations and Financial Affairs and the Joint Standing Committee on Business, Research and Development Economic a plan, including any necessary statutory or unallocated language, to achieve savings of $250,000 during fiscal year 2010-2011 from the Department of Economic and Community Development. The Department of Economic and Community Development and the Division of Financial and Personnel Services of the Department of Administrative and Financial Services shall provide staff assistance to the commissioner and policy advisor. Seek a reorganization of the Department of Economic and Community Development that will ensure business assistance services are delivered at the regional level in full partnership with the private sector and the Quality of Place and Mobilize Maine initiatives are fully integrated within this regional approach. Realign the responsibilities of the Department of Economic and Community Development and Maine’s six regional economic development districts. Creation of a single economic development strategy based on consultation with the regional economic development districts and the private sector, and corresponding comprehensive budget. Providing the training and certification developed by the Department of Economic and Community Development to staff and officials of regional and local chambers of commerce and other local and regional economic development organizations to ensure competency in all state business incentives and assistance programs. Consult with and review existing business groups in determining the best model to ensure that the regional service delivery effort succeeds. Sec. EEE-2. Contingency adjustment. In the event that the Commissioner of Economic and Community Development and the policy advisor in the Governor’s Office selected by the Governor fail to identify the savings required on or before March 15, 2011, the State Budget Officer shall identify $250,000 in savings in the Department of Economic and Community Development. Notwithstanding any other provision of law, the State Budget Officer shall transfer the amount by financial order upon approval of the Governor. This transfer is considered an adjustment to appropriations in fiscal year 2010-11. These sections direct the Department of Economic and Community Development to achieve $250,000 savings in fiscal year 2010-11. The department is to report a plan to achieve these savings to the Joint Standing Committee on Appropriations and Financial Affairs and the Joint Standing Committee on Business, Research, and Economic Development by March 15, 2011. If the department fails to identify the savings required the State Budget Officer will transfer from the department $250,000 by financial order upon approval of the Governor. Sec. FFF-1. Calculation and transfer; General Fund savings. Notwithstanding any other provision of law, the State Budget Officer shall calculate the amount of savings that results from the state’s receipt of additional federal stimulus funding, in legislation enacted by Congress and signed by the President of the United States subsequent to December 7, 2009; this funding will be in addition to funds provided to the state as a result of the American Recovery and Reinvestment Act of 2009. The State Budget Officer shall transfer the savings by financial order upon approval of the governor. These transfers are considered adjustments to appropriations in fiscal year 2010-11. This Part requires the State Budget Officer to calculate the amount of savings that results from the state’s receipt of additional federal stimulus funding, in legislation enacted by Congress and signed by the President of the United States subsequent to December 7, 2009; this funding will be in addition to funds provided to the state as a result of the American Recovery and Reinvestment Act of 2009. The State Budget Officer shall transfer the savings by financial order upon approval of the governor. These transfers are considered adjustments to appropriations in fiscal year 2010-11. Sec. SSS-3. State Government closure. Notwithstanding any other provision of law and excepting those operations determined to be exempt by the nature of the services provided as established by the Commissioner of Administrative and Financial Services, all executive branch state departments, agencies and offices must be closed for 10 11 days in fiscal year 2009-10 and 10 12 days in fiscal year 2010-11 as determined by the Governor and referred to as "State Government closure days." There may be no more than one day of closure per month and no more than one day of closure falling within any single employee payroll cycle. Any employee who is not required to work on State Government closure days must take the days off without pay. Employee leave with pay or unpaid leave pursuant to a voluntary employee incentive program is not allowed for those days designated as State Government closure days. The provisions of this section do not apply to an employee who is required to work because an operation is determined to be exempt pursuant to this section. This Part amends PL 2009, c. 213, Part SSS, §3 by increasing the number of state government closure days from 10 to 11 days for fiscal year 2009-10 and from 10 days to 12 days for fiscal year 2010-11. Sec. HHH-1. Unified payment card work group established. The Treasurer of the State shall convene a work group to review disbursement options as they may relate to a unified payment card for state expenditures in order to determine if increased cardholder convenience and further state budget savings can be achieved. Sec. HHH-2. Participants. In convening the work group the Treasurer of State shall include representatives from the Office of the State Controller, the Bureau of Revenue Services, the Department of Labor, the Department of Health and Human Services, the Department of Corrections, the Department of Education, the Department of Professional and Financial Regulation, and the Office of Information Technology. The Treasurer of State shall serve as chair of the workgroup and may accept resources as approved and provided by work group participants. D. Recommend actions and timelines, if appropriate. Sec. HHH-4. Report. The work group shall submit its report, including any recommended implementing legislation to the Joint Standing Committee on Appropriations and Financial Affairs by January 15, 2011. This Part directs the Treasurer of the State to convene a work group to investigate opportunities to align the use of electronic payment/benefits cards across state government, to realize increased efficiency and effectiveness of operations.